Eduardo M. Perelstein, MD, MPH, is Director of the Division of Pediatric Nephrology in the Department of Pediatrics, Weill Cornell Medical College. He is also Associate Attending Pediatrician at NewYork-Presbyterian Hospital and Associate Professor of Clinical Pediatrics at Weill Cornell Medical College. Dr. Perelstein has more than 35 years experience in the diagnosis and management of children with all kinds of kidney diseases, including end-stage kidney disease requiring dialysis or kidney transplantation. In addition, he also cares for children with high blood pressure, as well as fluid/electrolyte disorders. His board certifications are in Pediatrics and Pediatric Nephrology. Dr. Perelstein received his M.D. at the University of Buenos Aires Faculty of Medicine in Buenos Aires, Argentina, where he also completed his residency in pediatrics. He continued his training in pediatric nephrology at Saint Christopher's Hospital for Children in Philadelphia, Pennsylvania, where he completed a one-year clinical fellowship, and at Weill Cornell Medical College, where he completed two additional years of fellowship training. In 2009, he completed his Masters in Public Health (MPH) at the Johns Hopkins School of Hygiene and Public Health. New York Magazine's Best Doctors. Selected for 2014. 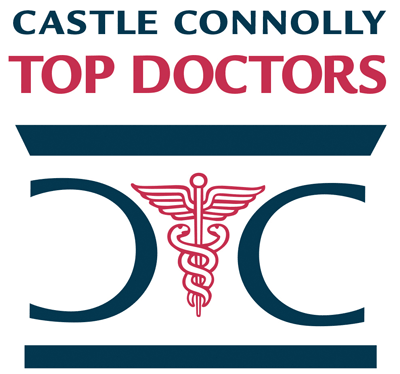 Eduardo M. Perelstein, M.D., M.P.H has been named one of America's Top Doctors by Castle Connolly. We have 384 of America's Top Doctors in 57 medical specialties.